We've collaborated with experienced instructors, windsurf centres and schools to bring you exactly that. When choosing your first set of windsurf gear, you'll want to understand and compare the differences between the various rig-packs and options available. In this knowledge section we guide you through the most important components to help with your decision. If we've missed anything, or you have any doubts or further questions, please do contact support and we'll be glad to explain some more. The first essential choice you want to make is the main sailcloth the sails are being made off. Dacron sails are more durable than monofilm sails, particularly with regard to UV resistance. The transparent window in dacron sails is made from PVC - a material that has some elasticity and can stretch upon impact and then return to it's original shape. For storage purposes, dacron sails can be folded, whereas monofilm sails must be rolled. Dacron sails are slightly more expensive than monofilm sails, but as a result of their superior durability are usually a better choice for windsurfing schools. Monofilm sails have advantages of being lighter and more 'direct' in terms of feel, and - being mostly transparent - also allow for excellent visibility. For performance and budget reasons monofilm sails are the best choice for newcomers, intermediate and advanced windsurfers. Depending upon the rig package, the supplied mast will be made from either epoxy, aluminium or carbon. Aluminium masts are mostly used with smaller sail-size packages - primary for weight and cost reasons. The lighter weight is especially helpful for allowing children to uphaul the sail more easily. Epoxy (or - more accurately - 'glass fibre / epoxy') masts are considered to be more durable than aluminium masts - particularly in 'real life' conditions such as a small shorebreak. Epoxy masts can bend and recover from stresses that would permanently deform or break an aluminium mast. In general, epoxy masts are heavier than aluminium or carbon masts. Carbon mast are basically epoxy masts where a proportion of the structural material content is carbon fibre. The greater the carbon content, the lighter and more responsive the mast will be, leading to performance benefits. 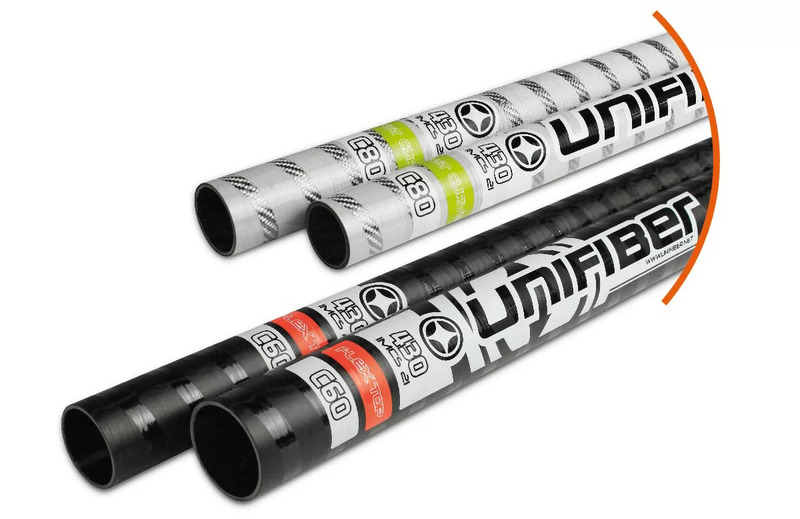 Most complete rig packs are not specced with carbon masts, because these are considered more relevant to windsurfers with more evolved skills. The benefits of a carbon mast become far more evident when planing or sailing in stronger winds. 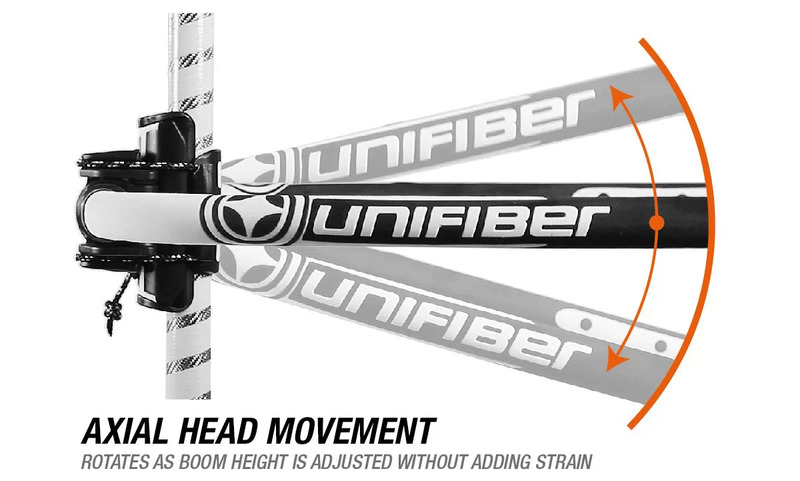 All beginner and intermediate rigs are equipped with an aluminium boom which have a number of features to consider. This concerns the diameter of the boom tube where the hands go whilst sailing. 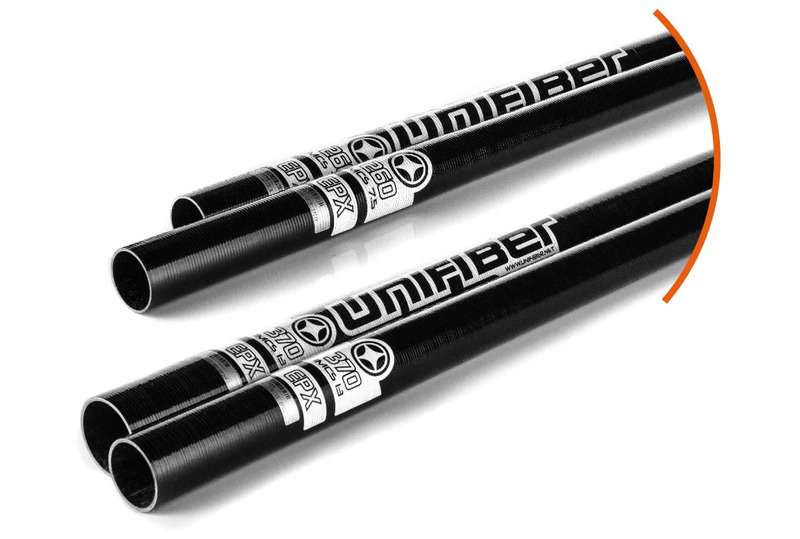 Stated measurements refer to the tube only, and do not include the EVA soft grip on the outside. 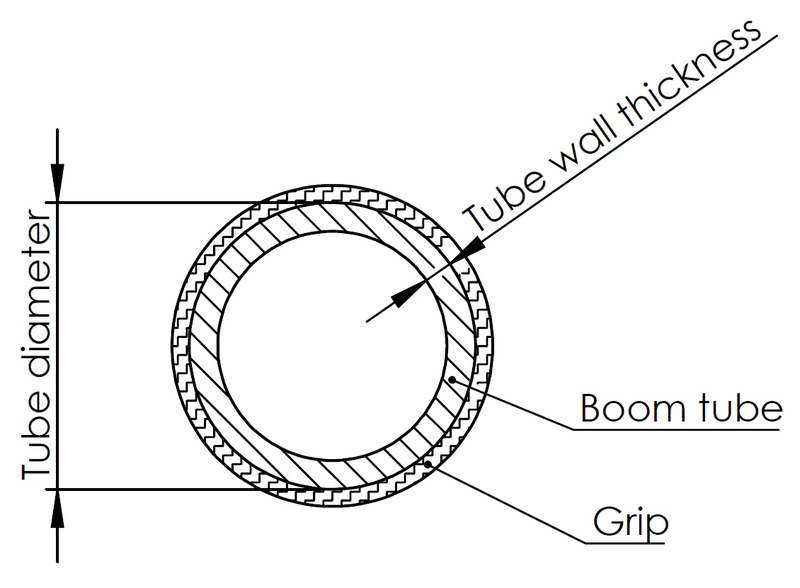 Boom tube diameters typically range from 25mm to 30mm and are related to target user group (juniors, adults...), performance (for a given wall thickness, increased diameter is stiffer), and preference (many people find smaller diameter booms to be more comfortable). Most booms are equipped with an axial moving boom head. This prevents point loading that would otherwise occur when the boom/mast angle is not exactly 90 degrees. In general, booms with an axial moving boom head are a little more expensive than booms with fixed heads. The traditional 'classic' method involves fixing (by screws, rivets or pushpins) each boom arm to the boom head. This is not a particularly stiff or durable solution. A longer term problem with this method is corrosion between the aluminium and fixings, and weakness from the holes that need to be drilled. 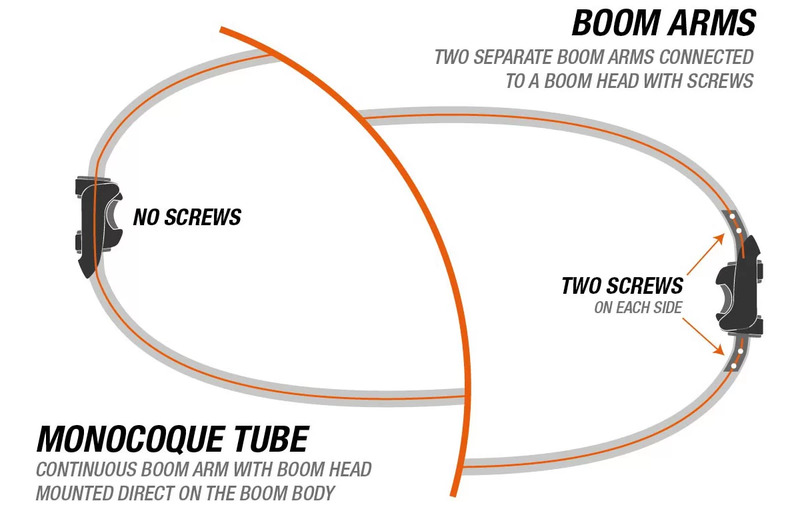 The alternative method is for the entire boom body to be made out of a single 'monocoque' tube, and for the the boom head to mount directly onto the boom body itself. Monocoque booms are usually stiffer and more durable, and do not suffer from the weak points / corrosion issues of 'classic' booms. For performance reasons the monocoque method is usually preferred. However there though there may be some use cases where a more dismantlable boom has advantages (for example, packability). Our compact, ultra light, easy-to-uphaul rigs have a friendly, neutral feeling – even in the smallest sizes. Our rig packs are affordable and simple to rig. Many of the learner rigs feature useful, distinct "port" and "starboard" boom sides to help with teaching. Rig bags make transportation and storage easy. The range offers either the crisp-feel of Monofilm, with superb visibility; or Dacron’s long lasting UV-resistant quality that's perfect for windSUP, busy schools and centres. And, of course, all our packs benefit from typically rugged Unifiber component parts: masts, booms, bases, extensions; meaning your Unifiber rig will continue to perform long beyond when you’ve progressed to be planing and jumping on advanced kit. Then you'll be ready to get the next generation of windsurfers stoked on the sport!